Will Taylor has extensive experience in public finance transactions including tax-exempt and taxable financings. He has experience with bond, pension obligation bond, bond anticipation note, tax anticipation note, certificate of participation, lease and installment purchase agreement financings. He has served in the role of bond counsel and has also represented investment banking firms in public finance transactions. He has spoken on several panels regarding public finance matters. Will also represents clients on corporate and securities law matters, including mergers and acquisitions and private securities offerings. He has extensive experience advising companies regarding compliance with federal and state securities laws, corporate governance, and business and corporate law issues. Before joining McKennon Shelton & Henn LLP, Will was Of Counsel in the Business and Technology Group at DLA Piper US. Will is a member of the Maryland bar, the Virginia bar and the National Association of Bond Lawyers. 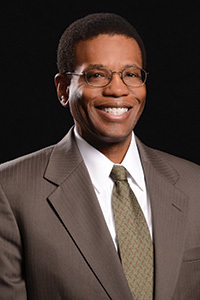 He serves as a trustee on the board of trustees of The Baltimore Museum of Art. Education: College of William and Mary, Marshall-Wythe School of Law, J.D. ; The Pennsylvania State University, B.A.